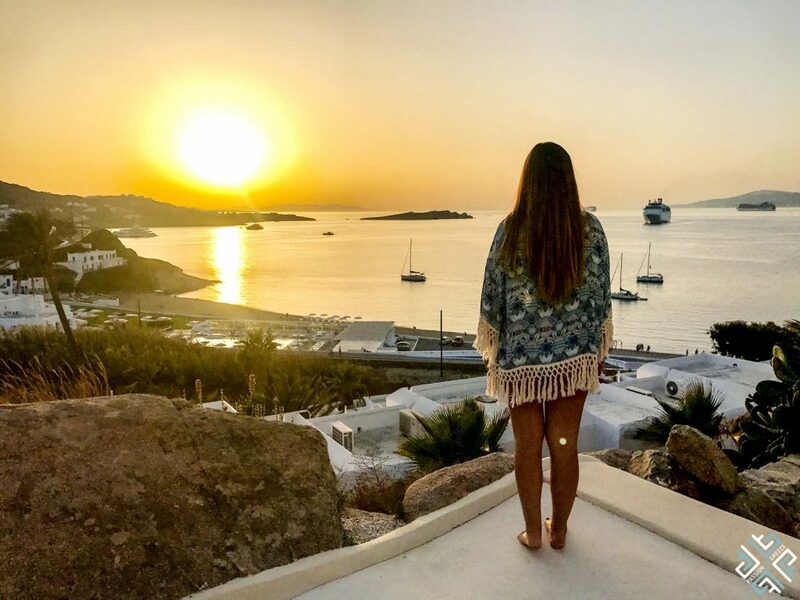 I was recently chatting with Hype Magazine – the international travel blog of UK-based Holiday Hypermarket – to share some insider knowledge on visiting Mykonos. While it’s difficult to cover the diversity of this beautiful Greek island in one article, I did my best to give unmissable tips on what to see, where to eat, and what to experience on a trip here. 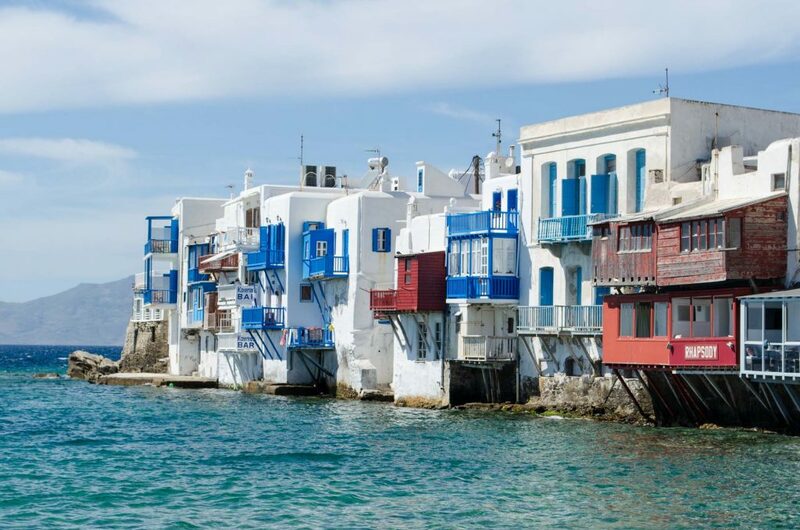 If a traveller only has a few days on the island, what would you say is one thing he or she absolutely shouldn’t miss the chance to visit/see/do in Mykonos? A visit to one of the popular beach bars is a must – you are guaranteed to run into A-listers, Hollywood celebrities and famous models. Nammos, situated on Psarrou Beach, is a good choice. It was one of the first popular entries on the Myconian beach scene, and it still tops the list of the most popular places in Mykonos. Definitely spend time getting lost in the cobblestone streets of Chora (Mykonos Town). The best time to visit is towards the evening, and enjoy a drink watching the sunset at Little Venice. 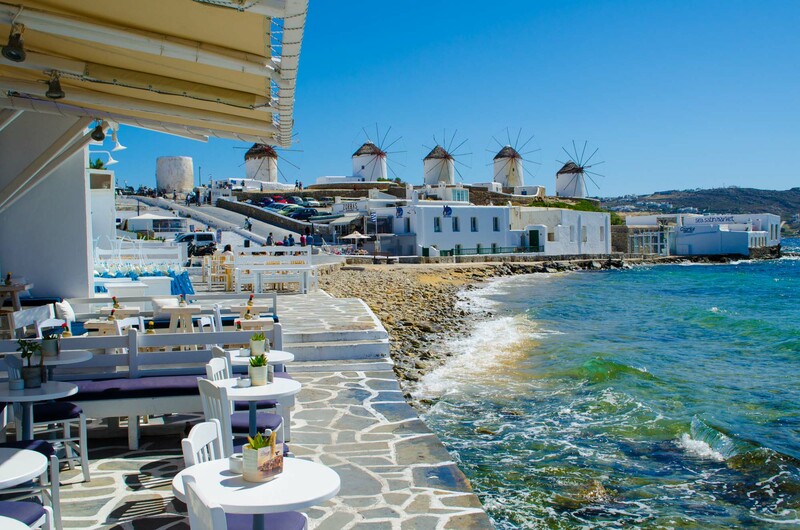 While you’re here, visit the famous Mykonos Windmills which are located just on the shore. 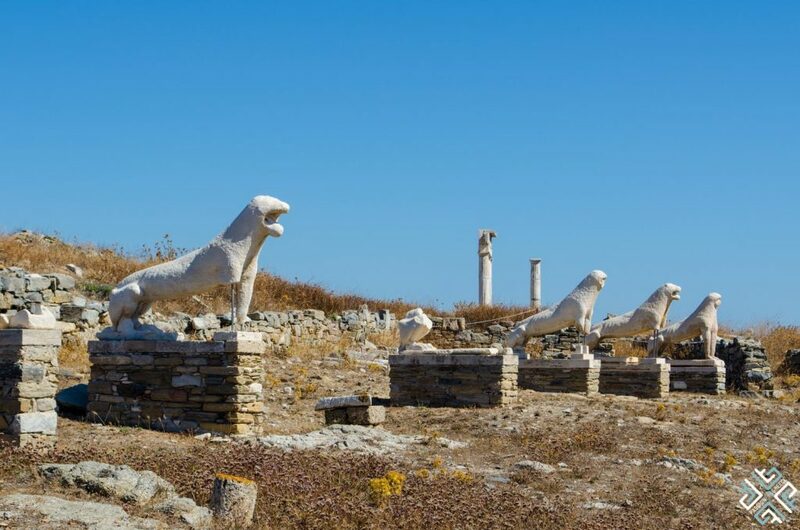 If you have the time, definitely visit the nearby sacred island of Delos, the birthplace of god Apollo and his twin sister, goddess Artemis. Mykonos is also known for its parties and there are many happening on the island throughout the season. Download the My Mykonos app and you can keep track of all the happenings on the island. Also if you’re lucky you will come across the biggest star of the island – Petros the pelican. For travellers that don’t want another souvenir pen or postcard, what cultural souvenir would you recommend taking home from Mykonos? 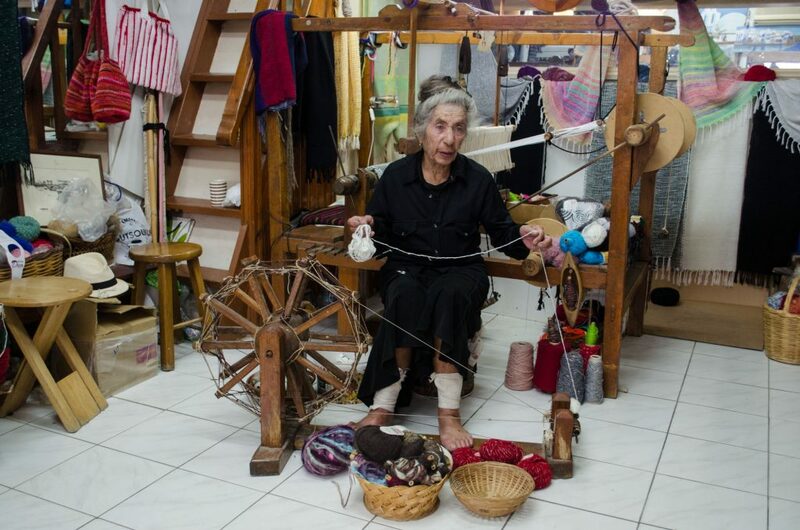 Mykonos used to be a weaver’s island with more than 500 looms being worked on a daily basis. Today there are only two remaining weavers on the island. One of them is Nikoleta Xidakis, whose shop and workshop is located right next to Little Venice. She is 75 years old and is actively weaving until this day. You can buy beautiful, soft and colorful hats, scarves, blankets and clothing. 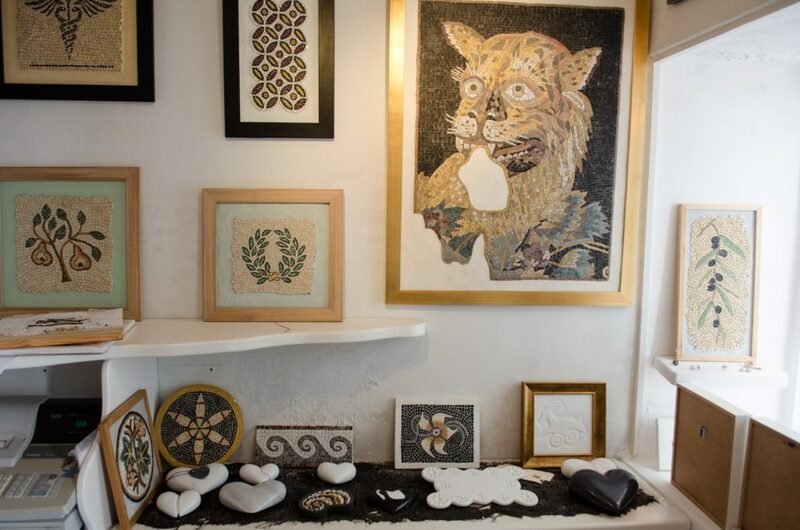 Myconian leather sandals are also a popular souvenir, as are evil eye souvenirs, jewellery and Mosaic pebble art from the studio of a famous local mosaic artist and educator, Irene Syrianou. Irene also runs various workshops and lessons for those who wish to learn this craft. You can read more about visiting Mykonos here.